A Bronze Age 'petrosphere' has been stolen from the Dunblane Museum in Scotland. Police in Dunblane said they were investigating the theft and appealed for information. 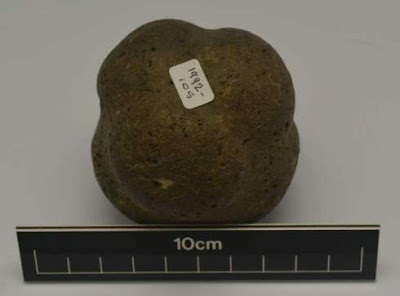 A spokesman said: "If you have any knowledge of who may be responsible or know the whereabouts of the stone ball, please contact Dunblane officers on 101 or via Crimestoppers on 0800 555 111."